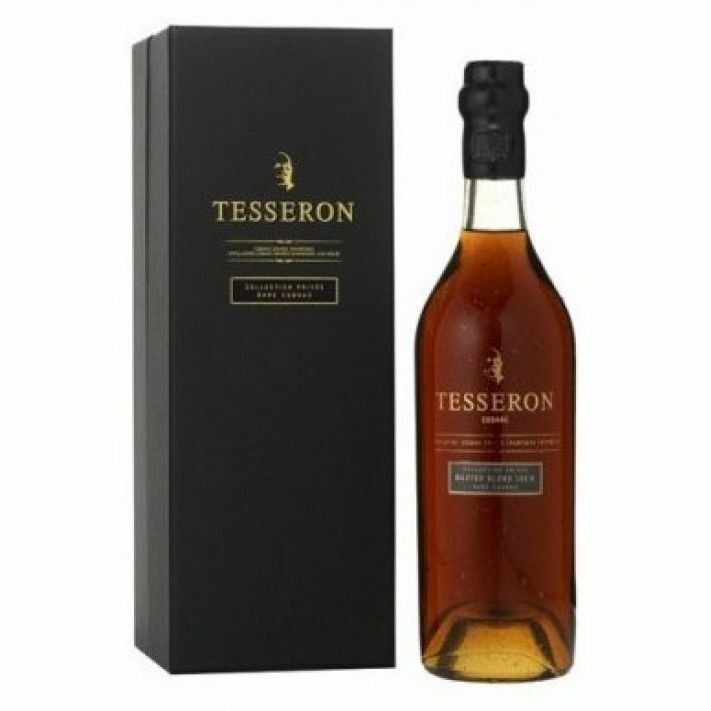 Tesseron Master Blend 100's Cognac is the name given to a highly prized collection of Tesseron cognacs, created by the company's founder, Abel Tesseron, at the end of the 19th century. These rare cognacs have been carefully treasured by Abel Tesseron and bottled by the third generation, Alfred Tesseron. Within the ancestral Tesseron reserve there is a unique collection of heavy glass demijohns, which house a living company archive - a testimonial to Abel Tesseron. Only 143 bottles of this exceptional cognac are available worldwide. The splendid, heavy glass flagons, carefully sealed to avoid any evaporation, continue to preserve the ancient, matchless cognacs contained within. They are a real and rare treasure, having attained optimal maturity. The faux-de-vies used for this unique creation are only used in exceptional occasions.